I run an event planning company based out here in los angeles and new orleans. My thing is this, things are slow and I need business to pick back up. I was using my road opener and money drawing candles but since my cousin moved in I cant burn the candles any more. What would be the best way to get things back going using incenses and oils for Im not to familiar on they work or there speedyness? 1. Buy dressed novenas without the label. LM will do that for you. 2. Use the 4" offeratory candles. Those burn in less than 2 hours and again, no labels for your cousin to read. 3. You can pay LM a little more money and they will burn novenas on their altar. Candle work is my preferred medium too, although I also do a lot of baths. I even put some of the oils into unscented shower gel, so I'm using them daily, not just when I have time for a full ritual bath. Also, I wear the oils like perfume, especially when going out to meet with people. LM has many free spells listed on how to help your business from sending out money with symbols, and dressing the money to a good ol lodestone. Also a good chinese floor wash could be of good use, burning money incense and attraction... I really like the lodestone spell I used it several times for various needs and it worked each time.. it took the full 3mo and in some issues I thought for a moment eh everything is going backwards then low and behold what I wanted I got.. just keep the work up, feed it, pray to it and care for the lil guy and it will be yours. Also, the Prosperity line of products should help your business pick up. Dress your business cards, burn the incense, wear the oil. I own a fairly new medical practice and have purchased the following kits from LM. Protection from law (IRS problems, and lawsuits...), Money drawing kit, and Wall of Protection. Over a year ago I left the the doctor that I was working for because he overworked me and now that I have my own place my old patients are coming over to me slowly but surely, I don't think that he's doing too well as a business anymore. What I want to do is protect my business from any negativity from him or other competitors and avoid IRS and Medical Board problems and lawsuits (I'm doing everything on the up and up but now a days I don't want any problems from taxes or patients trying to sue to make money) and I want to be sure that my business keeps growing and that we always have enough money to support the clinic and my family. What spell kit should I do first? And do I do it at the clinic or at my home? Thanks! You know I have seen some business...not medical practice, but like nail salons and even some chinese food places that literally have a prosperity altar set up. It is fairly hidden, but they have it out there. So perhaps you can do something like that...that is incognito. As for what you should do. I think a money drawing kit is a good idea as well as the wall of protection. If you would like you can use a bat nut, and place it on the inside of your door or on the outside of your door or anywhere near the door where it can be hidden to shield the evil eye from your previous employer, but I think you are good with the wall of protection. For your business, perhaps you can do a cleansing of the space (when no one is there) just to get rid of the negativity. You could use chinese wash for that, or you can use some bath crystals. If you have carpet, just spray the floor lightly, and get a broom and sweep out towards the doors. Throw the broom away from the business. In addition you can always have a blessing candle going at your business. I mean it could be hidden, and you can even get a regular white color candle (clean it first) and dress it with blessing oil. Now I know people like to sometimes start drama when it comes to medical businesses and you do not want to have any malpractice suits against you. So I would recommend getting some law keep away products or a kit to have that away from you. As for the business growing you can get a crown of success spell kit. The Prosperity better business candle is DEFINITELY a must for you. I dont think they have that in a spell kit but they most certainly have it in a candle dressed and fixed. 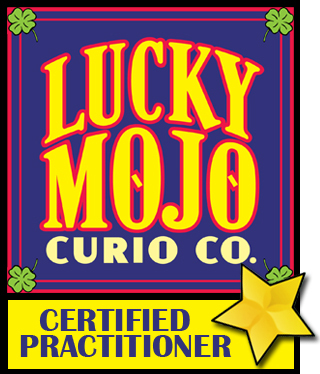 Perhaps you could have lucky mojo make it for you with out the label for you so that you can just burn it at your business. Just keep it hidden or even light it when you are there in the morning. If you want you can even do a steady work candle....to keep the people coming in. Hope that helps and good luck in your business. Thanks for all your help and insight! I'm going to get started as soon as possible! the problem is, I trust my good friend, however I am afraid of the foreign influence and interference, for example - from her mother, family and other (evil and jealous) friends of hers, boyfriend etc..... I want to take precautions from this moment, since we are seriously discussing biz. Apart from the magical aspect of cntrol, make sure you talk to a business law lawyer who can draw up the right paperwork to protect you in an unpleasant eventuality, and make sure your friend understands that this is what you will expect from her: ie to be a silent partner. As far as hoodoo, i think anything along the lines of controlling/commanding lines of products would be good. to some extent the nature of the business may also determine which product would be more appropriate...as far as interference from third parties is concerned , banishing, confusion, do as i say etc if used with imagination would work well. With so many people potentially able to wreck your business venture you will need 2 be on the alert all the time. Good luck and best wishes for 2010 and yr new business! as far as interference from third parties is concerned , banishing, confusion, do as i say etc if used with imagination would work well. With so many people potentially able to wreck your business venture you will need 2 be on the alert all the time. You can put your friend in a honey jar with a combination of sweetening and commanding herbs and products to help keep her open to the idea of you taking charge. Work the Commanding spellkit and get yourself a mojo (i believe the spellkit incluces a mojo bag). This will be your personal mojo bag that will let you take charge of the entire operation. Place your honey jar on a pile of Crown of Success powder and circle the entire thing in a ring of Firey Wall of Protection powder. Place it on your personal altar and keep it protected in such a manner. This will keep other's influence limited and keep her constantly sweet to you. Once you get a business label, name and such. Use that in a FWP conjure to keep up the barriers around the entire thing. Invoke and get Saint Michael involved to put a fiery sword to keep out the interfering influence of others. If you can get your friends hair and get her to sign her name. Take this and cross it with your name, square it with "faithful to a trust" to create a box. Put the hair on the paper and fold towards you and place in a bag with Sassafras, Cinnamon, Cloves, Irish Moss, Alkanet, Calamus and Licorice. This will keep your friend faithful to the business and also works great with loans. This spell is directly from HHRM with a few additions. If you guys get a place of business there are other things you can do to help ensure your protection. Stock up on protection, confusion, and commanding herbs and products to prepare in case you need to take more concrete action against any specific individual. Place your honey jar on a pile of Crown of Success powder and circle the entire thing in a ring of Firey Wall of Protection powder. Place it on your personal altar and keep it protected in such a manner. This will keep other's influence limited and keep her constantly sweet to you. This will keep your friend faithful to the business and also works great with loans. ConjureMan, would you please, expalin what you mean? The herbs and petition paper are aimed at working on the person by making them remain faithful to the trust they've taken towards going into business with someone. It is actually listed in HHRM as a means of getting people to faithfully repay their loans, but I've found it can be used in work such as this as well. You can dust your money with Crossing powders, with break up powders to break up the business, or any number of condition products in order to target a rival. I would follow this up with a floor wash of your business to draw more customers to you. It sounds like you need to do some Money Drawing of Wealthy Way work to draw more clients and business to your store. You could also get I can, you can't products known by some to give you a competitive edge. I have prosperity, jezebel, fast luck, attraction and crown of success, how can i use these product to attract a biz opportunity..... I applied for a location that i LLLLOOOOOOVVVVEEEE very much but have not heard from the real estate agents.... my road opener and St Joseph products will arrive in the next order, until then is there any thing i can do????? I'm a small business owner who has two large glass windows in my storefront. I would like to fix those windows so I can attract more customer attention and I want to draw them in to buy my products. I have a small ceramic Meneki Neko (Japanese Beckoning Kitty) that sits on a box that I'm planning on putting in one of the windows. It came with a tiny Meneki Neko and ceramic coins in it as well. I'd like to make this box into a hand. Does anyone have suggestions on what I should put into it? I'm also wondering if I should try to find another Meneki Neko like the one that I already have so both windows are drawing attention and customers. If I'm unable to find a match to the Meneki Neko that I have, does anyone have suggestions on how I can make the second window draw customer attention? There's plenty of ways to draw customer other than the Lucky Cat. Why not compliment it with a Lucky Buddha - you could build a gorgeous money-drawing altar in the window that incorporates all kinds of stuff that would attract the eye. Pyrite is all kinds of shiny and dramatic to look at. Put a bowl with a large lodestone in it by the buddha, into which you can put some coins and bills to attract more of the same. Also, you could post a sign that says something like "for good luck throw some coins in my bowl" that would draw people in for a bit of fun, and they would get into your shop. Burn a bit of money-drawing incense & have a fixed money-drawing oil lamp &/or several dressed money-drawing and Attraction vigil candles going. The antique look of oil lamps is really fantastic, and multiple burning candles gives off a really attractive and mesmerizing energy! Wash your shop floors and doorways and front walkways with a money-drawing mixture, or some money-drawing bath crystals. Make sure to keep a small trained lodestone in your cash drawer. Thanks Devi. I really liked your ideas. I'm going to get a lucky buddha ASAP! I think the money drawing spell kit is the BEST investment for this, and I would get a bottle of chinese wash and work that with it too. It will help cleanse the space, and then I would follow up with the money drawing spell kit. It definitely has a lot of great materials in it. Thanks starsinthesky7. I've got a bottle of chinese wash that I'm planning on using in the entire retail space. I've also been thinking about getting the money drawing spell kit. Your recommendations confirm that I'm on the right track. CINNAMON CHIPS are used by many people for the purpose of bringing Good Fortune in Business, Money Matters, and Games of Chance. Shop-keepers say they sprinkle CINNAMON CHIPS and Sugar on the door-step to Draw Trade. Thanks Joseph. I'm going to pick up some cinnamon chips so I can try out your advice. Jude423 wrote: Thanks Joseph. I'm going to pick up some cinnamon chips so I can try out your advice. Currently, I'm putting together a direct mail campaign to attract new customers. I've decided to sachet all of the mail that I send out. I have money drawing powder on hand so I was planning on using that, but I was wondering if anyone has suggestions on sachets that would serve my goal better? Would the sachet be more potent if I mixed more than one together? I'm also considering a honey jar spell. For this purpose, should I use the Influence Minds for a Good Purpose, the Crown of Success, or the Job Getting/Steady Work honey jar spell? I'm also wondering if I can use one honey jar for several potential customers by using a piece of parchment or brown paper bag for each customer? Finally, I'm wondering if anyone has suggestions for any other spellwork that I could do in order to make my direct mail campaign a success? I would use something like Look Me Over & Road Opener powder with the Money Drawing to make sure that people really take notice of the envelopes, break through any cynicism they have have, and want to open them and order (or whatever they'd be doing). I would use the Crown of Success honey jar for your business venture. If you want to use a honey jar to influence particular customers, then I would use a combo of Influence, Steady Work, Money Drawing and Success herbs/oils. I would work the Money Drawing and Steady Work spell kits to keep a good momentum of energy behind your venture. You could alternatively just use an Attraction spell kit to attract high-paying customers to your business. My business is extremely slow, scary slow, my appointment book is practically empty this week and my office rent is quite hefty. I would appreciate any input on how to to increase my business and my earning potential. On a mundane level I have recently spent a lot of money on advertising and i have gotten no responses, not even inquiries. These were magazine and newspaper ads and i had no way of dressing these before they went out. I have also started doing more social networking advertising it's less costly and some of it is free. I have a health consulting service and i also sell products in my office. Any suggestions on how to use LM products to attract more clients to my office? I also have a website. Any advice on how to draw clients to my site? In the magic realm, I recently did a "steady work" spell, not the kit, the one on line. The question i have on this is what do i do with the petition that i wrote. On hand i have the following vigils: steady work, prosperity and bayberry, along with incense, sachets and oils of: money stay with me, prosperity, wealthy way, steady work. Dress your business cards with Attraction and Prosperity and Money Drawing powders and hand them out. Cleanse your space and then dress the space inward with money-drawing washes. The spells are on line at my site. Work a Lodestone in your cash box or cash register. The spell is on line at my site. Burn the candles in the shop or work space. Smoke or oil or otherwise mark the products you sell with the money-drawing type products you currently have. Mark all your cash money for success in business. The spell is on line at my site. Use the same ads you had in the magazines and newspapers, but reformat them as fliers and dust those with attraction and money drawing powders and set them out in places like cafes or book stores where fliers are allowed. Don't put them where not wanted, but there are many places that allow such things to be laid out for free. Make sure your web site is scoring high at google. If you -- or anyone -- wants my help on this, and is not a direct competitor of mine, you may schedule a one hour spiritual consultation with me (not a reading) and i will go over everything at your site with you and tell you how to improve it for your purposes. Be prepared for this consultation with paper and a pen (or have a computer text program open and type as i speak) and be prepared to learn, not to struggle with me over it. If you are not the web designer, then put the web designer on the phone with us in a conference call. Out of all the people to get a response from . I feel so blessed. These are great ideas, especially using the same ads as flyers, you are brilliant. I am moving into a new office in Sept and i plan on doing the spiritual cleansing and drawing rituals. I have all the flyers on that. As soon as I get settled in my new office, i will get a consult from you. Having the web designer on conference call makes perfect sense. And no, i am not a competitor of yours, I am a nutritionist who loves your products. Thank you for your time and thank you for the reading we had in June [i finally gave in and did a walnut bath, actually felt very empowering]. You are so amazing, and i am following your advice: getting out there:). I recently found an intriging trick on Hoodoo Foundry: smear your card or flyers with honey and leave it on an anthill: all the ants in the world know each other, and they'll all spread the word. I suppose that's to encourage word of mouth. I haven't tried it myself though. Best of luck! I hope they start flooding through the doors soon. I like that one - our backyard ant population has exploded here this year (luckily no red ants). Perhaps I'll look that one up and give it a try. Hello everyone, thank you for all your help. I have read most of the posts here as I am new to this. I need your help and recommendations on what spells to use. I own a business, however it has slowed down this 2010 (the economy has something to do with it). Can you share with me what spells you think I can use to bring in clients to my business and for the business to start making money and become profitable. Thanks for all your help. I really appreciate all your inputs. Perform a cleansing wash on your business then you can dissolve some Money Drawing bath crystals in warm water and perform a drawing wash to help bring more customers to your business. Consider crafting a sweet jar to help bring you willing and sweet customers. Here are some links to articles that can help and the products you may need. Thanks for the recommendations ConjureMan. You too Triplethreat!!! I will definitely provide an update. I had a fantastic experience using the Prosperity line of products and a lodestone for a similar situation. Which reminds me I probably need to stock up on Prosperity again. Since I had good luck with my candle working, I want to try to help out my brother whose business is failing and has had really bad luck with women, I have a green candle, some of his books that he traded to me to get him groceries this week so I know hes in deeep trouble. I was thinking, wealthy way, fast luck and five finger grass on a inscribed candle. anything more i should add? While Wealthy Way and Five Finger Grass are good choices, Prosperity is more business oriented (in my opinion), you are petitioning for more. As for Five finger grass, its more for asking favors, although it does have some protective/uncrossing qualities. Again personally, I would not use Fast Luck in this situation because it brings things fast, which means they may not last and your brother needs some slow steady monies. Good Luck in helping your brother. I would actually throw in some money drawing as well. But I think that you need to do a road opener,and get a reading to see exactly why his business is failing. Then you can do some mundane/non-magical things to see what he can do to increase his business. I think you need to burn an uncrossing candle, and then follow up with a van van and/or road opener to help remove obstacles and change his luck. Then you can do the money drawing and perhaps even some money stay with me products. In my poinion - If he is that deep down it is often better to start with Blessing Oil and Road Opening before going for the grand price (Wealthy Way). Perhaps adding a loadstone and some Magnetic Sand just to get in a slightly increased attraction along while uplifting his spirit. And of course, see to that he and his place of business got a proper spiritual cleansing as well (Buffalo Ammonia, Chinese Wash etc). It would probably take your luck with candles to a new dimension, so a win-win for the both of you. I would definitely agree with the cleansing (which can include Uncrossing) first, following with Road opener, Blessing and than drawing Wealth...again Good Luck niteraptor. thanks everyone, i dont have all these things yet. but will put them on the shopping list. i have decided to do the fast luck candle anyway to get his electric turned back on and tied him over for a bit. ya hes really broke. I had a reading with Ms Cat yesterday and just want to say thanks. Thank you so much Ms Cat, I really appreciate all your advise and will definitely be following up with one of the root workers you recommended. I really appreciate the time and patience you took to talk to me. I will definitely schedule another reading in the near future with you also. God bless. I have some collectibles (Military) that I am looking to have appraised and possibly sell. (I never knew the Soldier they belonged too over almost 100 years) and how they came into my possession is as long story. I did not inherit them someone gave them to me after His family disgarded several things. (they have money to burn and did not care). They are rare and I have called two organizations about them. An appraiser I was referred to wanted 800 a few months ago. I found someone close to me who seems to have a good reputation. A collector would love and take care of them as would a museum, so I am comfortible letting them go to someone who will care for them. I am considering Crown of Success and Money Drawing I was actually going to smoke the Blue Velvet with the incense of Crown of Success and Money Drawing. Any tips would be greatly appreciated. Thank you all. You've got a lot of good ideas so far, my only suggestion is to go to this meeting dressed with a some oils. Dress your head lightly with crown of success, and dress wear an oil like High John,Master,Victory, or Commanding to give you an air of confidence and control, people like that are harder to swindle. Make sure you dress your hands,lightly of course, with that oil and touch the person you will be dealing with. Thank you for your response Turnsteel. I was planning on that too! I sincerely appreciate your input! Turnsteel: I love the High John oil suggestion. It really helps me when I need to summon that extra "confidence and control" that I sometimes find lacking in my day to day self. Great suggestions all around. Triplethreat: Good luck and go with your instinct! You sound like a fair and rational person, I'm sure the "inside alarms" will sound if it feels wrong. Don't be afraid to politely decline if you feel you must! Good luck and please keep us posted on the situation and what you used to help! I did a green pillar candle with fast luck on it for my brother, he runs a computer repair, webdesign and hosting business. and hes gotten several assignments. hes currently packing to move to a cheaper place that he can also use as an office so he wont have 2 leases and be so broke. when he moves in im going to bless his house as i now have that oil and make him a money drawing candle too. Glad for your success and wishing you luck on the next phase of your work. Dont forget to cleanse the new place too! In the past couple of months, I started to get exactly what I asked for: more private clients in the evenings and the opportunity to teach my martial art 3 nights per week. My goal had been eventually to leave my full time day job, do private practice and, eventually, open my own dojo. However, when I started getting what I wanted, I realized how little time I actually have to do anything non work related and I began to complain, loudly. And so, as the universe does, it answered. I have so far lost 2 of my clients, one client who'd been coming once a week dropped to every other week and I fear I am in danger of possibly losing another 2 which puts me in a very bad position. Also, in terms of my teaching, another more senior teacher has been making waves about teaching in my slots and I fear I may lose time there, as well. When I understood what was happening, I prayed fervently and apologized for what I'm sure came off as ungrateful behavior. Obviously, I can't do anything about what has already happened, but moving forward, any suggestions on how to best rectify this? After some evaluation of my situation, I think what is most important is that I get more private clients who are reliable and willing to stick out therapy long term. once that happens, I can begin cutting my daytime hours to do private practice more full time. And THEN I can open my own dojo. I've had this happen. Back when I was in university I wanted more clients at my healing practice, and did some work to draw them not really specifying what amount I needed or wanted in order to get my real goal. The Divine answered in a big way, and I suddenly had way more than I could handle with my full-time university schedule. I got very overwhelmed, and asked God to give me a break - LOL! Basically my number of clients fell off big time, however I did notice that whenever I was very much in need of some extra income a client or two would materialize. Now that you know what exactly you can handle, take that more specific petition to some work. You can use Attraction or Prosperity products for good effect here. This is one reason why being exacting in knowing what you need/want is important, or things can get mucked up even with positive results. Even today, I have to be careful in my career-related work because when I am too vague I nearly always end up in a situation with too much on my plate. So best to specify you plan and what you need to achieve it in your work, rather than just give a general "I want/need more" petition. What Devi said....speaks to me so well, which just happened to me recently. I just needed time to catch up on my graduate work, and was busy with all this school related work. The universe heard me but like Devi, I notice when I am thinking "gosh I need some funds" I get this sudden influx of readings or inquiries. Or I will randomly get money through other means, or friends start to pay for things when we got out. I always thought that was weird lol. Hi i am not sure if i am in the right place but i need help finding a good spell to increase my business, I would like one that would encourage a customer to buy and keep buying once they touch my book, catalogue.